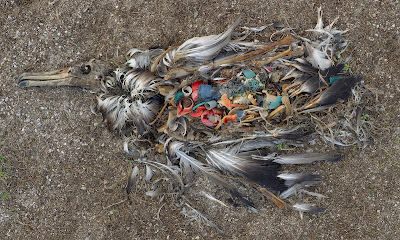 Our litter and waste has reached a new level of disbelief with a new study showing that upto 90% of seabirds will have ingested plastic items they have mistaken for food. A report in the Guardian has highlighted their work link. Their results can be seen in the Proceedings of the National Academy of Sciences. We still haven’t learnt as our production of platics in the past 11 years exceeds the amount produced since it was first produced in the 1950s.But something is being done and new a new collection boom is hoping to start removing larger material soon. You can help right now by picking up litter that will find its way eventually into the sea.